Touch Trust has been at the Wales Millennium Centre since 2004. The location is perfect. The Wales Millennium Centre is the beating heart of arts in Wales. There is a precious synergy as we deliver arts based creative movement sessions, with a focus on therapeutic music and arts, to the most vulnerable people in our local Welsh community. Touch Trust in the Wales Millennium Centre is ‘Where Magic Happens’. Sadly, due to the cost of staying at the Wales Millennium Centre, we have been forced to reconsider our location. Presently, the annual cost for Touch Trust to stay here is £62,000. Continually committing such a large amount of our annual funds to rent is prohibitive to our mission. Without financial support to bear some of the burden of the high rental cost or a rent reduction, we will be forced to relocate. Unfortunately, it is our guests who will suffer the consequences of this. Our guests are some of the most vulnerable children and adults in society. They have acute learning and physical disabilities. They rely on others to protect and care for them. Touch Trust provides them with an escape to a magical therapeutic world of music, movement and relaxation. The Wales Millennium Centre has always provided a perfect base for Touch Trust. It is located in the capital of Wales, next to the Senedd, the home of the National Assembly for Wales. Our guests are able to enjoy the wonderful bustling Cardiff Bay, making the most of the excellent accessibility and essence of the Bay. For many of our guests, coming to Touch Trust is only one part of a fantastic day out. For some, it is their only day out in the whole week. Local cafes welcome our guests with open arms, with a personal connection and remembering their favourite drinks and food. There is a real sense of community in Cardiff Bay that will be extremely difficult to replicate in any other location and we believe they would miss terribly. 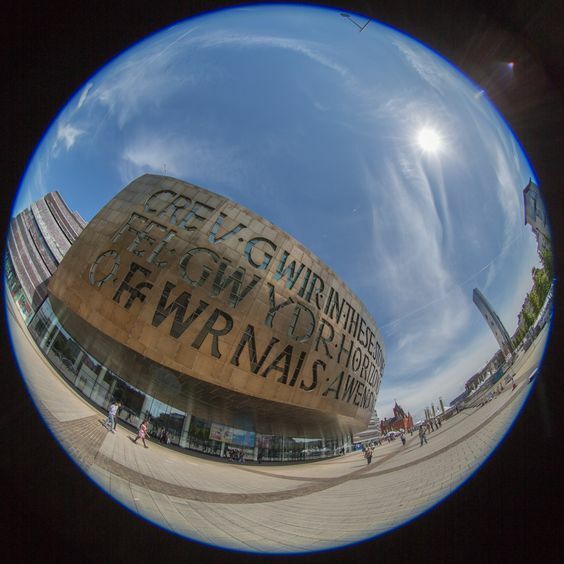 The Wales Millennium Centre states that ‘Our mission is to broaden people's horizons and offer every young person in Wales access to the arts’. Touch Trust has always been important in ensuring that even the most vulnerable young people in our community can enjoy the arts, irrespective of their abilities. To have to leave the Wales Millennium Centre would be devastating for Touch Trust and our guests, who will lose that connection with the cultural centre and wonderful spirit of Cardiff Bay. Yet again, it will be an example of vulnerable people being forced to accept less than the best. Surely that is not acceptable in today’s modern world? Especially in Wales, a country that believes so strongly in caring for each other, especially those not as fortunate as the majority. Our options to stay at the Wales Millennium Centre are limited. We could stay if we had financial support to cover the annual rental cost of £62,000, although this is unlikely. We could relocate, but this would mean that it is our guests who would miss out on those important connections with their local communities. Or the rent is reassessed in consideration of the important role Touch Trust plays in supporting vulnerable people in Cardiff and South Wales. Our campaign to stay at the Wales Millennium Centre will be promoted across all social media platforms using the hashtag #stayatWMC. Please follow us and share our posts and we will keep you informed. We hope that, somehow, our ideally located Touch Trust will continue to remain at the Wales Millennium Centre for many years to come. If you feel you can help in any way be it by way of a donation (via JustGiving), fundraising or other support please get in touch with us.